"I have proven the head transplant is possible. My inital experiments involved living black rats (Rattus rattus) as subjects, and were more or less successful. My next step was the attempt to apply the procedure on a dog. For the subject I picked the largest hound cadavre I had available - hecatian hound (Canis lupus hecatiensis) of the hairless breed, and successfully reanimated it as per usual procedure. After that I severed the heads of two more animals of the same kind and surgically grafted them on either side of the original head. They are connected to the body's circulatory, digestive and respiratory systems. Each head contains its own working brain, but only the original one has any power over the body as, of course, it is the only one connected to the body's nervous system. The subject is still functional now, 46 hours after the transplant. I named it Cerberus, after the three- headed monster from the gates of Hades. I strongly believe head transplant is possible on humans as well, but that I have yet to prove." 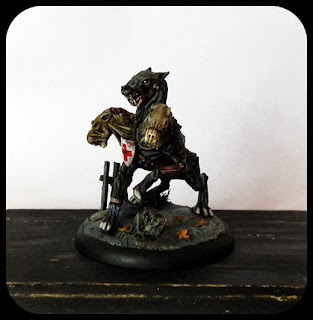 When the Plague Doctor is played as McMourning in Malifaux, this puppy represents the Rogue Necromancy. Kerberos in Greek mythology is a three headed watchdog of Hades; his job is to stop shades from returning to the world of the living. He is son of Typhon and Echidna, and brother to Hydra, Chimaera and Orthrus. Capturing Cerberus with his bare hands was the final labour of Heracles. The hound is often described as having a mane of serpents and a serpent tail. Cerberus is mentioned in Dante's Inferno and Milton's Paradise Lost. Norse mythology has a similar watchdog at the gates of Hel, albeit single-headed; his name is Garmr. Head transplant, the surgical operation involving grafting the head of one organism onto the body of another, has so far been performed successfully on rats, dogs and monkeys. They die pretty soon though, and they are paralysed neck down because science hasn't yet figured out how to properly attach the spinal cord of the head to the spinal cord of the body. 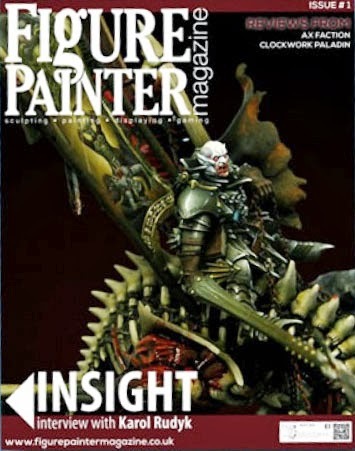 The first issue of Figure Painter Magazine is now available for download! 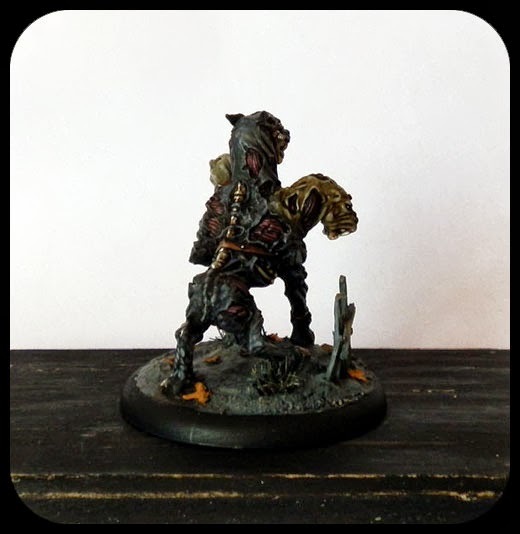 It's a new independent magazine dedicated to sculpting, painting, displaying, collecting and gaming with miniatures of all genres. The magazine contains details on new releases, reviews, interviews with the industry's top painters and sculptors, show reports, tutorials and a user gallery. The magazine will also feature a series of articles following the design and construction of a modular Malifaux gaming board - the combined efforts of two of my clubmates and me. That is such an awesome model... and a paint job that does it great justice! Will go check out the magazine now. Is your work featured in it? Thank you! :) I added a couple of still pictures to the post. The first issue contains a few photos of my miniatures, including an R2D2 Killa Khan conversion :D. They're illustrating the first of our articles about the making of a modular gaming board, since the first article is mostly about who we are and what we will be doing. Lovely work on this beastie, really like the way all the colors complement each other. The only minor thing I don't like that much are the claws as they seem a bit too bright. I've also got one quick question - what software did you use to put together the gif file? I made the gif using Adobe Photoshop 7.0 and Adobe ImageReady. I use those for all my picture-editing needs. Great work on that 3 headed puppy, but man, just what is that Doctor on to create such disturbing masterpieces?